"Whatever our age, there is good scientific evidence that being physically active can help us lead healthier lives. Regular physical activity can reduce the risk of many chronic conditions, including coronary heart disease, stroke, type 2 diabetes, cancer, obesity, mental health problems and musculoskeletal conditions." "Sophie discusses how £1.24 million of Lottery investment from Sport England has helped improve the gymnastic facilities at the Europa Centre in Bexley and bring her Olympic dream to life." pair work, discussion, reading and vocabulary exercises." "Watch this video clip on the topic of health and exercise, and then answer the (interactive) questions based on what you see and hear." "A Spanish bullfighter died for the first time in over 30 years over the weekend. Other people were injured during the running of the bulls at the famous San Fermin festival in Pamplona." and banned for a year over their recent ball-tampering in South Africa. Cameron Bancroft, who carried out the cheating, was given a nine-month ban." "In the sport of cricket, ball tampering is an action in which a fielder illegally alters the condition of the ball. 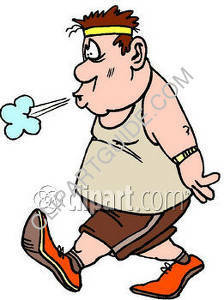 The primary motivation of ball tampering is to interfere with the aerodynamics of the ball." after members of his team offered to illicitly supply performance-enhancing drugs." "In the search for a quick route to a muscular physique, many young men turn to controversial anabolic steroids to achieve their goals. But in the wake of deaths in the bodybuilding community, do the statistics showing a fourfold increase in their use, really add up?" "London 2012 gold medallist Mariya Savinova has been stripped of her 800m title and banned until 2019 after being found guilty of doping." "Russia have been stripped of their 4x400m relay silver from London 2012 after sprinter Antonina Krivoshapka tested positive for steroid turinabol." the New York Times says." "The use of banned performance-enhancing drugs in sports is commonly referred to as doping,[Note 1] particularly by the organizations that regulate sporting competitions. The use of drugs to enhance performance is considered unethical by most international sports organizations, including the International Olympic Committee, although ethicists have argued that it is not different from the use of new materials in the construction of suits andsporting equipment, which can also aid performance and give competitors an unfair advantage.The reasons for the ban are mainly the health risks of performance-enhancing drugs, the equality of opportunity for athletes, and the exemplary effect of drug-free sport for the public. Anti-doping authorities state that using performance-enhancing drugs goes against the "spirit of sport"." Organised crime is having an impact on these advances. David explains, "with the growing dominance of the criminal underworld into sport this is becoming more difficult. Athletes are surrounded by many interested people from coaches and trainers to agents, doctors, lawyers and friends who are all keen to share in the fame and fortune of those who are successful." "Convicted drug cheats such as Justin Gatlin could benefit from taking banned substances for decades afterwards, say scientists." "The use of performance-enhancing drugs (PEDs) has had a long history at the Olympic Games. Its origins can be traced back to the Ancient Olympics..."
Tougher steroid fines for U.S. sport - a lesson plan with "a news article, listening (MP3 file) , communication activities, pair work, discussion, reading and vocabulary exercises." His athletics season has stopped from today, he added." "Dozens of Russian athletes at the 2014 Winter Olympics in Sochi, including at least 15 medal winners, were part of a state-run doping program, meticulously planned for years to ensure dominance at the Games, according to the director of the country’s antidoping laboratory at the time." "This news word tells you about a hidden practice. Watch as your hosts explain what it means." "One man’s decision to speak out over Liliya Shobukhova blackmail case exposed athletics’ rotten core and led to the suspensions handed down by the IAAF." at a major event cheated by using drugs." "Anti-doping agencies in Britain and the US have begun investigations into the American coach Alberto Salazar, who is accused of giving performance enhancing drugs to his athletes. + Should doping be legalised? "Mattia Gavazzi (Amore & Vita-Selle SMP) has been provisionally suspended by the UCI for a cocaine positive taken at the Tour of Qinghai Lake in 2015. If confirmed by the B-sample, it will be the 32-year-old's second positive for the substance as a professional. He served a 14-month suspension for cocaine in 2004 while racing as an amateur and was ordered to undergo rehabilitation." 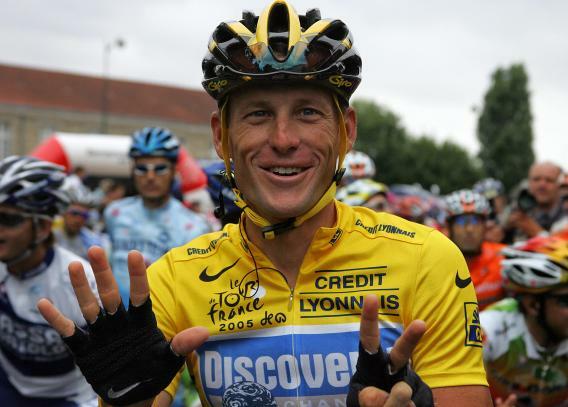 Armstrong admitted to doping and was found to have lied in proceedings. ..."
before next summer’s Olympic Games in Rio." "The reported abuse took place Tuesday during a soccer match in St. Petersburg between the French and Russian national teams." He is charged with possible involvement in a $2 million payment in 2011 to Michel Platini, the head of the Union of European Football Association." that provided his release from custody on racketeering and bribery charges." "The International Tennis Federation suspended Maria Sharapova for two years on Wednesday after a hearing prompted by her positive test for the drug meldonium. The usual suspension is four years, but the independent panel reduced it to two." "Tennis officials will carry out an independent review into their anti-corruption practices after the sport was hit with claims of match-fixing. The news follows a BBC and BuzzFeed News investigation that uncovered suspected illegal betting in tennis." Are Sports Bad for Children? - with subtitles - You can hear the line slowed down. Description: Children should learn that winning is not everything. "The more money a sport gains the more it seems to move away from its core values and it seems the more likely there is to be cheats..."
Is there too much money in professional sports? Children need to be active to prevent obesity but also to promote healthy growth, bone strength and psychological wellbeing." Researchers say jogging alone is unhealthy - a lesson plan with AUDIO - with "a news article, listening (MP3 file), podcast, communication activities, pair work, discussion, reading and vocabulary exercises." Bodybuilding supplements "are dietary supplements commonly used by those involved in bodybuilding and athletics. Bodybuilding supplements may be used to replace meals, enhance weight gain, promote weight loss or improve athletic performance..."